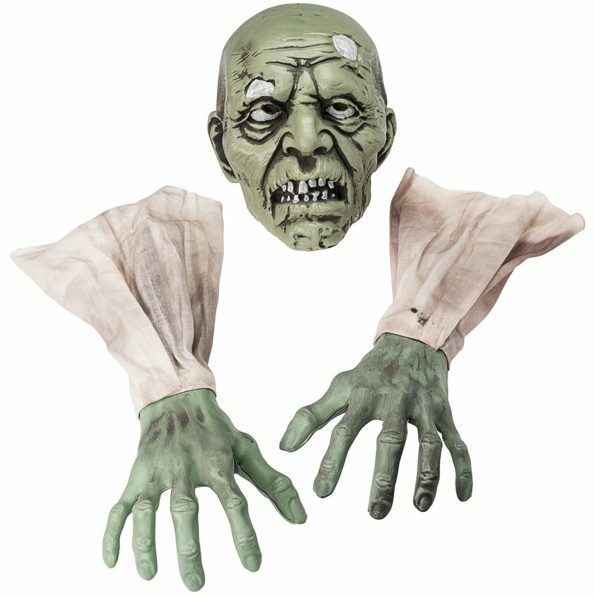 This Halloween Zombie Face and Arms Lawn Stakes Will Make The Best Halloween Graveyard Decoration ever created. Set the Perfect Horror Scene by having best Halloween decoration items for your Home, Graveyard Scenes or Halloween Party. It comes with 1 Zombie Face with 6” Plastic Stake, 2 Zombie Arms Covered with Sleeves.